The Home Energy Harmonizer is designed to provide protection from the negative information and energy waves coming from satellites, cell phone towers, radio towers and the electrical wiring coming through the walls of your home that affect you and your family's well being. The Home Energy Harmonizer is designed to provide protection from the negative information and energy waves coming from satellites, cell phone towers, radio towers and the electrical wiring coming through the walls of your home that affect you and your family’s well being. We are all living in a world where we are exposed to 5 million times more electromagnetic pollution that our grand parents all of this in a span of just 60 short years! 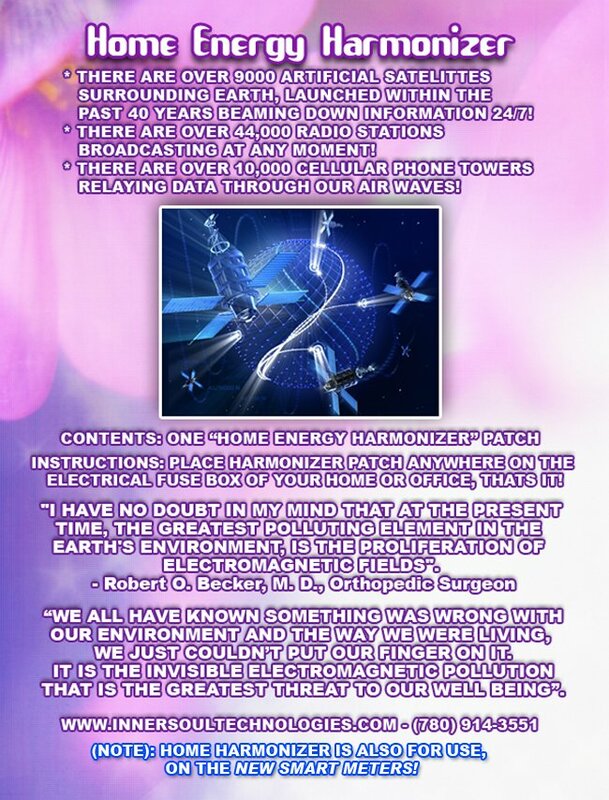 Even within our most sacred place, our home, we cannot hide or be immune from the effects of this microwave, radio wave, magnetic wave, electric wave, and gamma wave pollution. 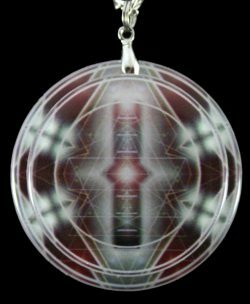 I have no doubt in my mind that at the present time, the greatest polluting element in the Earth’s environment is the proliferation of electromagnetic fields. 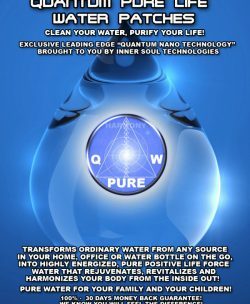 All of these different energy waves have a direct and measurable effect upon the human bodies biological system, affecting everything from the way your body functions, to what you think and the way you operate your daily life. There are over 9000 artificial satellites launched within the last 40 years beaming down frequencies on you 24/7! There are over 44,000 radio stations broadcasting at any moment! There are over 10,000 cellular phone towers relaying data through our airwaves! The AC Electrical wiring in our homes, operates on approximately 60hertz frequency. 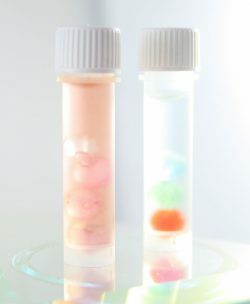 This is the same frequency at which your brain thinks and operates a majority of its functions on. Because the electrical wiring in your house has the same frequency at which your brain operates on, your brain can actually hear it, and is receiving ‘garbage’ interference noise and information from the electrical wiring system in your own home. From the quality of sleep and dreams, to an in ability to concentrate effectively, more dramatic mood swings, lack of ability to control ones own emotions, attention deficit disorder, obsessive compulsive disorder, laziness, boredom, lack of energy, lack of clarity, etc. Instructions: Place the Home Energy Harmonizer on the fuse breaker box for your home. The Home Energy Harmonizer will immediately start sending specially designed harmonious energy waves that will piggy back on the out going frequencies of the electrical system of your home, helping provide positive protection from incoming negative waves that enter your home. 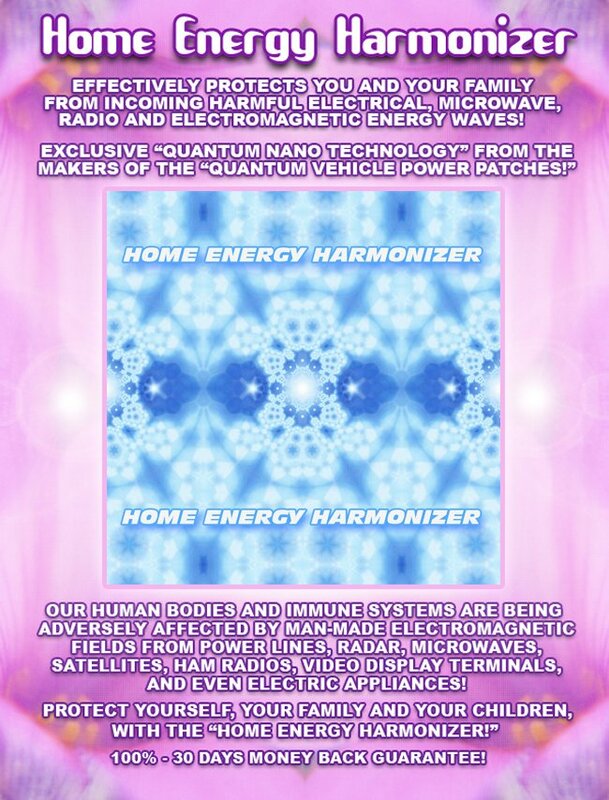 The Home Energy Harmonizer does not ‘block’ or ‘stop’ electromagnetic or microwave energies directly, rather it harmonizes the negative energy waves found within these energy fields. The Home Energy Harmonizer – Never Stops Working!!! 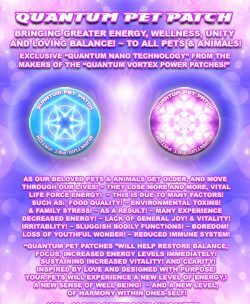 For effective protection from the harmful energy waves coming off of your T.V, microwave ovens, computers & monitors, home phones, hair dryer, the blender, refrigerator, video game systems, wireless & network devices, cell phones and blue tooth devices.